Price reduced! This beautiful bi-level home is located on a large lot in a hot neighborhood with no HOA needed. Best value with the open-concept kitchen and living space to the large shaded back yard, there is plenty of room for the whole family and pets to enjoy. Recent updates include kitchen cabinets, granite counter tops, Samsung Stainless Steel Appliances, tiled back splash, new bamboo wood floors and new stainmaster carpet. Great curb appeal with a covered porch, new siding and freshly mulched landscaping. Also, featuring a big back yard and big deck for BBQ fun! A fully finished shed. The location doesn't get any better with less than a 10 min drive to Milken Park, Highline Canal Trails, Trader Joe's, The Street at Southglenn and Downtown Littleton. 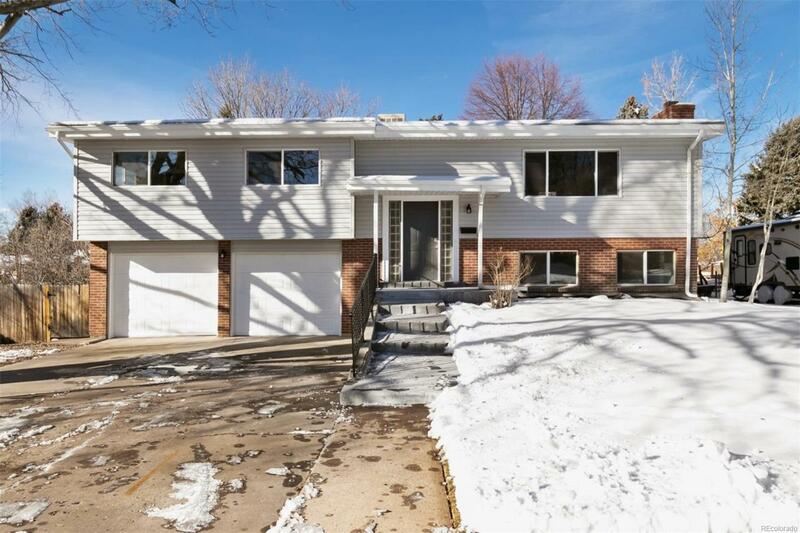 Situated in a family-friendly neighborhood near a great park, this home is sure to go fast! Offered by Modern Real Estate South.